Single shots, the humans of Astoria. I’m taking a break/week off, and will be offering a single shot that I like for one reason or another. For a change, the shots offered this week will feature people in them. Normally, I go to some effort to have no humans of New York at all in my photos, but occasionally I do the opposite. 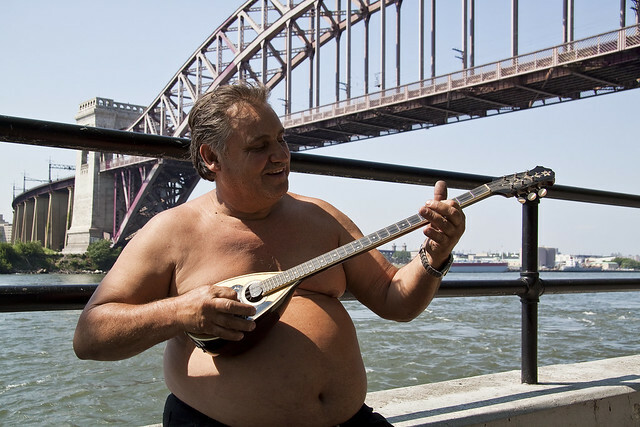 Pictured above is one of my neighbors in Astoria, a professional Greek musician who was playing a bouzouki.